Tool & Equipment Archives - Page 2 of 3 - Power Of Auto World! Category Archives for "Tool & Equipment"
There are a variety of types of lead acid batteries on the market and each one works slightly differently. They all do the same thing, and that is provide power to something, and they all do it in roughly the same way with plates and electrolyte in between, but they hold the electrolyte in different ways and can run out of juice in different ways. This means that they need charged in different ways. After reading this, you will understand the difference in charging an AGM battery verses charging a standard battery, and the best charger for each one. Do you have to use AGM charger on AGM battery? First though before getting into the specifics of different types of chargers and which to use with what kind of battery we will cover what charging actually does. In a battery you have the electrolyte which is a liquid that holds the electrons. The electrolyte is a mixture of sulfur and some other parts. Over time, the sulfur and the electrons with it stick to the metal plates inside the battery and builds up. When the electrons are stuck to the plates, instead of being able to flow thru the battery, that is when the battery is considered low on charge. By charging the battery a pulse is sent into the battery and it breaks the sulfur build up off the plates. This frees the electrons and puts them back into the electrolyte where they are able to move thru the battery again and provide juice to whatever the battery is connected too. In a standard battery the electrons are housed in just the liquid mixture and a part of that mixture is water. When you recharge a standard battery, the charger normally puts off a strong pulse and charges quickly. This is because standard batteries with liquid in them are not hurt by being charged fast. By charging the battery fast you can start using it again quicker. The problem with charging a battery fast though is that it causes a lose of the water inside of the mixture. It evaporates off and heat is formed. A standard battery though the heat goes away with the water that is being lost and normally it doesn’t get hot enough for damage to occur. Charging a battery fast though can also lead to over charging. This is when pulses are still being sent in, but there is no more sulfur to be broke off. Over charging of a standard battery again does not cause much damage and just causes water to be lost. The reason this water lose isn’t a big deal though, is that water can be added back into a standard battery making it so it will function the same. An AGM battery on the other hand though, you can not add water back to it. This means that water that is lost has to get back in a different way. For an AGM battery there is a catalyst such as platinum, that is able to turn the hydrogen atoms that are created when charging back into the water. In an AGM battery there are glass matts that absorb the liquid and AGM stands for Absorbed glass matts. These matts suspend the electrolyte and makes it so the battery does not leak. Since water can not be added directly back to an AGM battery though, then once the catalyst is gone inside, it is gone, so you should do everything to prevent the need for it. When it comes to charging, that means you should charge an AGM battery low and slow. This is because if you add a low amount of pulse over a longer period of time not as much heat will be made, so the battery won’t get as hot. Also, if you charge it slowly, then you are less likely to over charge the battery and cause damage. However, you don’t want to under charge the battery either. That is why they make chargers designed for AGM batteries and are labeled as that. A charger labeled for use with AGM batteries is normally more of a battery tender. This means that it has computers that can monitor the level of charge in the battery. As it gets closed to being fully charged, then the charge can slow down, so as not to over charge the battery. These special chargers will normally stop charging once the battery is fully charged, and won’t start recharging again till needed, meaning they can be left connected. So, now that you understand the difference between a standard charger and an AGM charger, a lot of people will ask if you have to use an AGM charger for an AGM battery. The technical answer is no you don’t have too. The standard charger will charge the battery and if monitored will not cause harm to the AGM battery, especially if used on the lowest setting, but if you are not careful, then it will over charge the battery and lead to the AGM batteries life being cut short. That is why even though you technically don’t have to have an AGM charger for an AGM battery, it is a good idea to have one. You spent good money on an AGM battery, so make sure you charge it properly and don’t damage it and get a charger designed for it. AGM and standard batteries both charge in the same way. The charger applies a pulse to the battery and this breaks the sulfur off the plates and restores it to the electrolyte allowing the electrons to flow freely. The difference is when you charge a battery it loses water, and this is especially true with strong standard chargers or if you over charge a battery. With a standard battery this isn’t much of an issue because you can add water back, but with an AGM battery you can’t add water back. It has a catalyst inside the turn the hydrogen back into water, but once the catalyst is gone, the batteries life will be almost over with. That is why you should use an AGM battery charger on an AGM battery to keep the life of the battery up and prevent water lose and over charging. Difference Between Battery Charger vs Battery Tender? When your battery is dead in your car, mower, or other items that use an array you might want to charge it instead of buying a new one. This is because a lot of times when the power is low in a battery it can be restored, and the battery is not truly dead. This is good because it saves you money from having to buy a new battery. However, what is the best way to restore the power to a battery? There are a few options on the market, and it is important to know the differences between these options. The options we will look at in this article is regular battery chargers versus battery tenders. After reading this article, you will know what each one does and when to use each one. What Is A Battery Tender? Difference Between Battery Minder Vs Battery Tender? Difference Between Trickle Charger Vs Battery Tender? A battery charger is just what it says. It is a device that charges the battery. The way a battery charger works are it converts power from a wall or battery bank into a pulse that goes into the battery. The pulse causes the sulfur that is built upon the plates in the battery to break off and return to the electrolyte inside the battery. This is how the charge is restored. With a battery charger, you can set a specific amp amount, and that controls how much of a pulse goes into the battery. You want to make sure to use a proper amp that will not damage the battery. It is generally better to charge slower, than faster because when you charge to fast it can cause heat to build up in the battery and this will damage it. If the battery burst, then it will be permanent damage. Also, you want to make sure to know the kind of battery you are charging because some require specific types of battery chargers. A special type of battery charger is a trickle charger. A trickle charger applies a small amount of voltage to a battery. This causes it to charge slowly and not to get too hot. Also, the advantage of a trickle charger is that it reduces the chance of overcharging your battery. When charging a battery you want to make sure to charge it all the way or else the lifespan of the battery will be hurt, but you also don’t want to overcharge the battery because that will ruin the battery too. The charge from a trickle charger is constant, but it puts out a charge that is equal to the batteries rate of self-discharge. Trickle chargers are still not designed to stay connected to the battery. Even though they reduce the risk of overcharging, it still isn’t good to use them for battery maintenance. If you want something for maintenance, then you should read farther. The best battery tender is similar to a charger, but not the same thing. A battery tender is designed for maintaining a battery more than charging it. While a battery tender puts off a charge, it does do so at a fast rate. If you want to get a battery use-able fast, then you should use a charger. A battery tender puts off a charge that is controlled. You can set an amount, and it will not charge a battery past that amount. This means that it won’t overcharge the battery. The battery tender can see how much charge the battery has and when it needs a charge, then it will turn on and start supplying a charge. Once the battery reaches the set threshold, then it will turn off and stop charging till the battery drops below the set point. Outside of this feature through the battery tender still does the same thing as a regular charger of converting power into a pulse that goes into a battery that breaks the sulfur off the plates. When To Use Each One? So when should you use a battery tender over a battery charger? Well, the best time for a battery tender is when you aren’t going to be using the battery for a while. You can leave the battery hooked up to the tender, and whenever it drops below the set point, it will get topped back off. This will keep the battery from draining all the way and going bad. When a battery sets and isn’t used, then it loses charge, and this hurts the life of the battery. A battery charger should be used when a battery is dead and just needs a fast charge, and you can keep an eye on it, so it doesn’t overcharge. Depending on the battery and charger you can get a battery back to full strength in four hours or so and then it is ready to use again. This is good if you are going to be needing to use the battery soon. A battery charger though should not be left hooked to a battery for long periods though because it will cause damage. So now you know the difference between a battery charger and a battery tender. You even know that there are a couple of types of battery chargers. You have regular battery chargers and trickle chargers. You also know that battery chargers provide a constant charge to a battery and are designed to restore a battery to full power, but not be left hooked to a battery. If you want to keep a battery charger or maintained, then that is what a battery tender is for. A battery tender will put off a charge up to a certain point and then when the battery reaches that point it will stop charging till needed again. This means a battery tender can be left hooked up forever and are good to used to keep a battery in working order during long periods of not being used. Now that you know the difference you should be able to determine what one you should use for your situation. 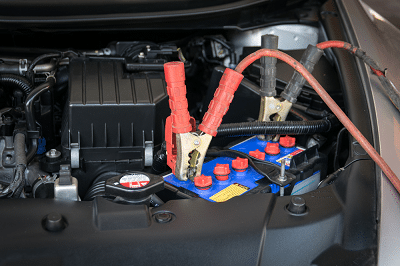 Car Battery Won’t Charge: Why And How To Solve? Dead car batteries are an annoying thing. This is especially because a lot of times they happen out of the blue. Sometimes it is from something simple such as a light getting left on and you can jump the car and get on your way, but sometimes the battery is too dead to jump and needs completely charged. What does it mean though if your car battery won’t charge. Well, in this article we will look at some of the possibilities of why a car battery won’t charge and some of the solutions for that. The first reason why a car battery might not be charging is that the alternator may be bad. The alternator is what converts the spinning of the engine into power that goes back into your battery. Normally, when a car and alternator is working properly, the alternator will charge the battery as you drive, so then it will have enough power to start the car again the next time you need it too. If the alternator is bad though, then it is not providing any charge to the battery and their for the battery is not charging. The alternator not charging the battery could be something as simple as the connections have came undone. If that is the case, then all you have to do is reconnect things, and it should start working properly. Vibration while driving or wires going bad is how the battery and the alternator could become disconnected. If they are not disconnected though, then their must be something else going on. You can run a test on the alternator by a automotive multimeter and see if it is putting off a charge. If it is not putting off a charge, then it is bad and must be replaced. Getting an alternator replaced isn’t that hard and if you are mechanically skilled then you can do it yourself. If you aren’t though, then any shop can do it for you. If the alternator is putting off a charge, but it isn’t constant, then you might just have a bad belt. If your serpentine belt is loose, then it could be slipping and not allowing the alternator to work properly. If that is the case, then you will need that belt replaced. Again, this isn’t that hard of a task to have done and isn’t to costly of a repair. Another reason why the battery may not be charging is that the battery itself is bad. A lot of things can go wrong inside of the battery. The battery could short itself out or get internal damage from shocks or vibration. To find out if the battery itself is bad you can run some test on it. If the battery itself is bad, then you will have to replace it and get a new battery. A bad battery can not be repaired. Also, if the battery shows visual signs of being bad, then it is time to replace it. If it has corrosion or leaks, then it is defiantly time to get a new battery. If the connectors aren’t corroded to bad, then they might be able to be cleaned off and this might allow it to charge properly again. Another reason why a battery might go bad is just its age. As a battery is used suffer builds up on the plates and forms a crust. When the battery is being charged it breaks this suffer off of the plates. Over time though the sulfur will not come off the plates all the way and won’t go back into the solution. Also, the sulfur eats the plates and over time and recharging the plates just disappear. As the sulfur is broke off the plates int he recharging process, a part of the plate goes with it. Think of a rusted panel and how it crumbles, well the plates int he battery work the same way. If your battery is old it won’t recharge or hold a charge and again will have to be replaced. Another final reason why a battery might not recharge is that the charger you are using may be bad, not be the right type, or not be connected right. Some batteries require special types of chargers to recharge them. If you are using a charger and it doesn’t seem to be charging your battery, then make sure it is the right type for that battery. Another reason why the charge may not be charging the battery is your may not have it connected right. To connect a charger to a battery you want to make sure the positive lead is connected to the positive connector on the battery. If it is not it will not work and cause damage to the battery. You then connect the negative to the negative pole on the battery. Once connected make sure you plug the charger in and set it on the right amps or speed of charge to match the battery. If these things don’t work, then the charger itself might be bad. Try a different charger and see if it works with the battery you are trying to charge. A battery charger could get a short in it just like a battery can or the inside components could go bad. If you want to buy a new battery charger, this is the best battery tender for you. A battery charger has to convert the AC or DC current into current that the battery can use and this converter mechanism on the inside of the charger might go bad or stop working. This is especially the case if the charge is old, or if the charger has not been stored or used right in the past. So as you now know there are a few reasons why a car battery might not be charging. The alternator inside the car could be bad or you could have a loose belt inside the car. The battery itself could be bad. The battery could have damage that you don’t see or it just might be old and wore out. If it has been recharged a bunch, then it just might not be able to be recharged any more. Lastly, the charger could be bad if you are trying to use an external charger or it could be connected wrong. After you have made sure it is the right charger and is connected right, you might need to try a different charger to see if that fixes the problem. Now you have a better understanding of why a car battery won’t charge and should be able to trouble shoot it for the situation that is at hand for you and your current situation. When looking for a battery there are a lot of different types from AGM to flooded to gel. Well, this article isn’t going to get into the differences of those. If you want to know the differences, then we have some articles you can read. Instead this article is going to look at the best AGM battery and help you figure out which one is right for you. After reading this article you will have a good idea of a few of the different AGM batteries on the market and know what to look for when choosing one. The liquid is held in the glass matts, it will not come out and doesn’t need to be refilled. Which is the best agm battery? 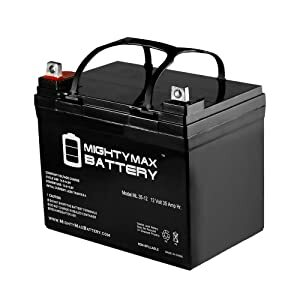 The first battery we will look at is the Mighty Max ML35-12. It is a 12 volt, 35 Amp Hour, U1, deep cycle battery. The size of this battery is 7.68 inches x 5.16 inches x 7.13 inches. This makes it pretty standard size and means that it will fit into most things. It weights 23.15 pounds and it has the positive terminal on the left side. This battery is great because it can be mounted in any position, has a high discharge rate, and deep discharge recovery meaning that it will last for a long time. It can be recharged over and over and has a long service life. On top of this it can be used in a wide range of temperature conditions, so no matter if it is hot or cold, it will operate and provide charge properly. The case is made to resist shocks and vibrations, so you don’t have to worry about it cracking or getting damaged either. The only issues people have had with this battery is some people have gotten bad ones that didn’t last very long. This was an issue with manufacturing and wasn’t many users. The good thing though is that this battery has a one year warranty, so if you end up getting a bad one, they will replace it for you. This isn’t likely though, as most of the issues have been resolved, but it is still nice that it has a one year warranty. Mighty Max SLA batteries are utilized in a wide variety of applications including: Consumer Electronics, Electric Vehicles, Engine Starters, Golf Carts, Hunting, Lawn and Garden Tools, Medical Mobility, Motorcycles, Power sports, Portable Tools, Solar, Toys and Hobby, Access Control Devices, Emergency Lighting, Security and more. Bonus: If you want to have a smart charger for fully charged battery, this is the best battery maintainer for your car battery. The next battery we will look at is the Odyssey PC680 Battery. It weights 13.4 pounds and measures 7.7 inches x 7.7 inches x 3.9 inches. This makes it a standard size battery. The positive terminal on this battery is on the right side. This battery is another deep cycle battery and has a long service life. It last 70 percent longer than most other deep cycle batteries and can last up to 400 cycles discharging up to 80 percent. This means that you will be able to use this battery for a long time after getting it. It comes with a full 2 year warranty and Odyssey will replace it for you if you have gotten damaged one, but you have to go thru their customer service and not the customer service of where you bought the battery from. Outside of this though the service life on this battery is 3-10 years. The battery has 170 cold cranking amps, which means that it is powerful enough to start most smaller things, but this might not be enough to start bigger things. Before getting this battery be sure to check the CCA of the old battery to make sure that this one will be able to provide enough power. This battery also recharges fast. Deepening on how low it is it can recharge in four to six hours, which is faster than most batteries on the market. These positive things make the Odyssey PC680 a good AGM battery to consider. 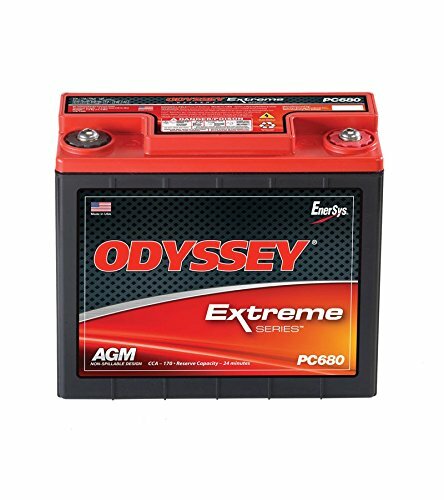 The ODYSSEY battery is the ideal choice for a complete range of powersports applications: motorcycles, ATVs, personal watercraft, snowmobiles, ultralight aircraft and Gyrocopter aircraft. Another top AGM battery you can consider is the HC600 from Kinetik. This battery is standard size and measures 7 inches x 3 inches x 6.5 inches and weighs 11.8 pounds. This means it will fit into most things and can be used in anything that it will fit. The positive terminal is on the right side, but since it is an AGM battery, it can be installed in any position you need too. The case on this battery is durable and made from ABS plastic. This means it can resist extreme heat conditions and vibrations. It is also spill-proof and sealed tight no matter what bumps you might hit. The Kinetik HC600 is a standard 12-volt battery, but it provides a high current. This means you can use it to run a vehicle or something else such as a sound system. The battery offers ultra-low ESR and has more plates to provide stronger energy density. This gives a robust 600 cranking amps and also an 18 amp hour rating. That means this battery can go for a while and can power anything up to 600 watts without issue. Users really love this battery and how well it holds a charge. It stores energy to a high level, so you don’t need a capacitor if you are using it as a second battery. Most users have used these to power their sound system and have pushed things even higher than the rating with the Kinetik HC600, but it can be used as an excellent car battery as well. It also has a one year warranty to give to peace of mind. Some people have even used this battery as a mower battery and didn’t even need a jump after winter without charging it. If you are looking for a top AGM battery, then you should defiantly consider the HC600 from Kinetik. Another top battery is the Universal UB121000-45978. This battery is big size and weights 60 pounds making it a large battery. The weight is due to the top build construction. The case on this battery is very durable and hard to damage. The battery is also shock and vibration resistant. The UB121000-45978 is an SLA/AGM battery which means that it is spill proof as well as maintenance free. Since the liquid is held in the glass matts, it will not come out and doesn’t need to be refilled. Users though of this battery have found that it holds a charge well and can be recharged faster than other similar batteries to get good results. It has a standing self-discharge of less than three percent per month, making it a very efficient store of energy that doesn’t require frequent charging. This model has a 100AH rating guaranteeing an excellent storage capacity and functional lifespan for use with trolling motors and any other equipment that requires consistent energy at a low cranking current. The battery is 12-volt which makes it great for any car or another piece of equipment that takes that voltage. This battery has left side positive when holding the battery towards you. Another benefit to this battery is that it can be mounted in any direction since it is spill proof, so if you are having a hard time reaching a cable to it, you can install it is a different way to get more reach. Outside of the extended durability of this battery users also like that the Universal UB121000-45978 comes with a one year warranty. This is nice because some users have had it short-out a little into having it and they were able to get a new one. This battery is an excellent 12-volt battery that holds a charge well. It also has solid durability, and the customer service and warranty is a bonus. 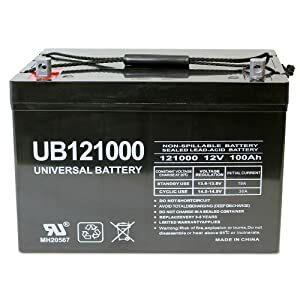 You should defiantly consider the Universal UB121000-45978 if you are looking for a new battery for a car or other equipment. Next we get to the first Optima battery and it is the 8025-160 Red Top. This battery measures 9.3 inches x 6.8 inches x 7.6 inches making it standard and it weights 39.5 pounds making it a bit on the heavy side. This battery is 44 amp hour and offers 720 cold cranking amps (CCA) meaning that it can start anything with no problem. It has a reserve capacity of 90 minutes and the positive terminal is on the left side. This AGM battery is designed to start things in any weather conditions, and can be mounted in any position needed. It is 15 times more resistant to vibration compare to other batteries on the market meaning that the case will not get damaged and cracked. It means that this AGM battery can be used on race cars that run at high speeds. The red top is designed for things with alternators that instantly start giving power to the battery once started. Since the Optima Red Top gives so much power at the start, it needs to start receiving a charge quickly to operate properly. The 8025-160 Red Top is ideal for trucks, SUVs, hot rods, street cars and other applications that require a spillproof starting battery. It can be started in very low temperatures during winter. The Red Top is also designed to be low maintenance so that you’ll have less to worry about. Next in the Optima family is the 8016-103 Blue Top. This one measures 10 inches x 6.9 inches x 7.8 inches and weights 43.5 pounds making it a heavy battery. It offers 55 amp hours of power and has a cold cranking amp of 750 meaning that it can start anything and can keep it running for awhile. The blue top has all the same qualities as the red top when it comes to shock resistance and being able to start things in any weather condition. The reserve capacity is 120 minutes meaning that it can keep running for awhile. The blue top however is design for a few different things. The blue top with dark gray case is designed to be a starting battery only and never for a cycling battery. It should be used for marine applications and RVs only when starting is required. They have a blue top with light gray case though that is designed to both start and deep cycle. The light gray blue top can be used for marine item and RVs in any situation. Just make sure you get the right one for your situation and be aware of these differences. This battery is ideal for those who need a sure-starting, strong-cranking, maintenance-free power source. 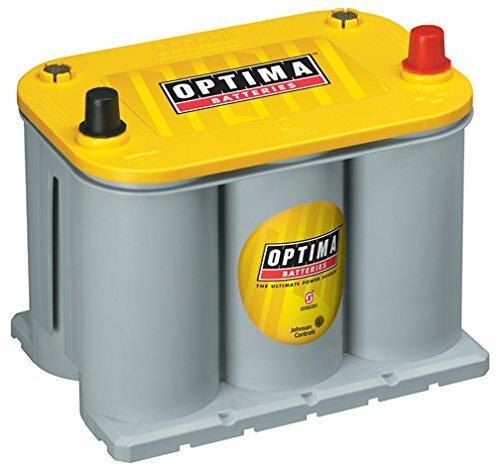 The last Optima battery we will look at is the 8040-218 Yellow Top. It measures 9.4 inches x 6.8 inches x 7.7 inches and weights 36.4 pounds putting it on the smaller side for an optima battery. It has a reserve capacity of 98 minutes meaning that you can get a lot of top performance out of it. The positive terminal is on the right and it has 620 cold cranking amps meaning that it is more than strong enough to start things in pretty much any situation. The Yellow Top is designed in the same way as the other two to be able to start things in any weather condition and to resist vibrations and mounted in any way. The thing that sets the yellow top apart is that it is designed to provide the extra performance and deep-cycling capability, it's used in instance where you have a lot of accessories. If you have power sliding doors or dvd players and things that draw a lot of power while running, then this is the option for you. It is capable of starting the vehicle, but then better at discharging so it keeps the vehicle running while powering all the other items. It can be used on any type of vehicle from your standard car to racing vehicles or vehicles with a lot of aftermarket electronics. So what sets the three Optima batteries apart from other AGM batteries? Well, that has to do with the design. It doesn’t matter what color top Optima battery you have they are all made the same way. Inside the Optima batteries the plates are wrapped in coils. These coils give more surface area and allow them to discharge better as well as recharge better. This advanced design is what gives them superior performance compared to other AGM batteries and why users love them. If you won't have a better understanding of AGM battery, we will briefly cover what an AGM battery is. AGM stands for Absorb Glass Matt and means that the liquid that holds the charge in the battery is held in a glass matt. These matts are between the plates in the battery and suspense the liquid between the plates. This has a lot of benefits, but is too much to go into detail here in this article. Knowing the basics thought of an AGM battery is important to help you find the best AGM Battery. So, which one of these AGM batteries is the best? Well, the answer is one of the Optima ones depending on your need. If you just need a good starter battery for your car, then the red top will do the job great. If you have a lot of after market things on your car, then you would want the yellow top. 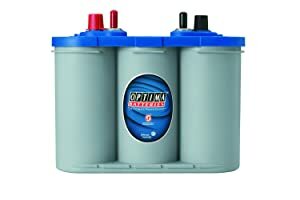 If you are looking for a battery for an RV or something else, then the blue top Optima should serve your needs. One of the Optimas is the best though because they are powerful AGM batteries and will last for a long time. But they are more expensive than others. None of the options on this list are bad though, Mighty Max Battery ML35-12, Kinetik HC600, Odyssey PC680 and Universal Ub121000-45978 are good depending on what you need, so if you think one of them would work better for you, then it is safe to go with one of the others. So now you know seven of the best AGM batteries on the market. The thing to remember when buying a battery is the side the positive terminal is on that you need and also the cold cranking amps and amp hours. These should be equal to or greater than the battery you are replacing to make sure that it has enough juice to do what you need it to do. All these AGM batteries are good and one of them should get the job done for you. There are a variety of subcategories when it comes to lead acid batteries. This article will look at two of those. We will discuss a gel cell and an AGM battery. The third type that we will not cover here is the flooded or wet cell battery. Once you are done reading this you will know the difference between AGM vs Gel battery and know which one is a better option for you. What are the differences between AGM vs Gel battery? Before you can understand AGM vs Gel battery you have to know the basics of a lead acid battery. Once you know how a lead acid battery works you can more easily see the difference between the two sub types that we are covering here. Inside a lead acid battery there are three main things. Those things are sulfuric acid, metal plates, and water. The sulfuric acid is normally 35% and the water is 65% and this mixture makes a fluid called electrolyte. This electrolyte is what produces the electrons that produce the charge. The metal plates are what the electrons pass thru to discharge from the battery and give off the charge. You can use best battery tender to recharge your battery car. Between these plates it deepens on the type of subcategory the battery is and that is where the main difference between them come in. This is a simple explanation, but is good enough for here. In a gel cell battery the electrolyte is suspended in a silica gel. This gel is a thick paste that allows the electrons to flow thru it, but it will not spill if broken. This is one of the big benefits to a gel cell battery. Outside of the fact that it does not spill if broken, it also doesn’t require any special maintenance outside of charging. The charging has to be done to break the sulfur off of the plates. They also are good because they have slow discharge rates. This means that they can be used to provide a charge for a long time. They can also be installed in any position since they don’t leak, they have no fumes, they are vibration resistant, and they have very little risk. The downside to the gel cell is that it requires special charging. You don’t want to over or under charge it, and you need a special charger that is designed for a gel cell battery. If you use the wrong charger or don’t charge it properly, then it can really impact the life of the battery. This is bad because gel cell batteries can be pretty costly. Another thing that is bad about gel cell batteries is that they can be heavy. The gel adds a lot of weight and it can be hard to find the capacity in the size you need. This challenge of being able to find the one you need makes them impractical sometimes. One last downside to gel cell batteries is controlling the temperature of them. They can get warm when discharging and charging. This means you got to be careful with them because they might bust or catch on fire if they get too hot. Now we will look at what is inside of an AGM Battery separating the plates. Separating the plates in an AGM battery are thin glass matts. AGM stands for absorbed glass matts, so the glass matts is how the battery gets its name. I also have article What Is An Agm Battery , you should take a look at it. The matts between the plates is what contains the electrolyte liquid and they are only wet enough to hold the proper amount of liquid. This makes AGM batteries light. On top of being light they are also safe. Since the matts are wet only to the point of being able to hold the liquid, you don’t have to worry about spills and you don’t have to refill them. The only maintenance that has to be done to them is recharging. Recharging helps break the sulfur off the plates so the electrons are back in the liquid and can flow thru the battery. However, unlike other kinds of lead acid batteries, AGM batteries can go longer without having to be recharged. The reason they can go longer between charging is the sulfer doesn’t build up on the plates as much. This is thanks to the fact that the liquid is held in the glass matts and the matts do a good job of keeping the liquid coming into direct touch of the plates. The fiberglass suspending the liquid also makes it so they have low resistance which means that the electrons can flow easier. This means they can be good starting batteries, but also good running batteries since they don’t need charged as often. One downside of AGM batteries though is the cost. They can cost more than other types, but they also tend to last longer to help off set this. Also, since we are getting better at making them, it is helping bring the cost down. One other negative about AGM batteries is you have to be careful charging them. They can be sensitive when charging and can easily be over charged or undercharged. You should not discharge an AGM battery below 50% because this can cause it to not be able to charge all the way back up to full strength. You don’t want to undercharge the battery because that can effect its life, but you also don’t want to overcharge them either. Overcharging can cause the battery to not last as long either. Both types of batteries have their place and can be good. AGM batteries hold a charge better and are safer since just the right amount of liquid is held in suspension in the fiberglass and it isn’t just floating around inside. Even though gel cell batteries don’t leak per say, the paste still can come out of them. Gel cell batteries though are good because they can be used in any position so if you need to stick one in an acquired spot, then you can. Charging them can be a challenge though and you have to be careful with that. Since gel cells can be hard to charge and also hard to find the right capacity sometimes, they are being phased out a lot by AGM batteries. Pretty much all the benefits that a gel cell battery had can be obtained with an AGM battery. This means that more and more often you will probably have the option to buy an AGM battery over a gel cell battery and eventually gel cell batteries will probably be off the market completely. So now you have a better understanding of what a gel cell battery is and what an AGM Battery is. You should understand how both types work now and what makes them different from each other. If you want to learn more about the third type of battery which is flooded battery, then we have articles for that and if you want a more in-depth understanding and uses of AGM batteries, then we have an article explaining that as well, so you can learn as much as you want about the different types of lead acid batteries and what makes them different from each other. There are a variety of subcategories when it comes to lead acid batteries. This article will look at two of those. We will discuss a flooded battery and an AGM battery. The third type that we will not cover here is the gel cell battery. Once you are done reading this you will know the difference between a flooded battery and an AGM battery and know which one is a better option for you. Before getting into a flooded battery vs an AGM battery we will give a brief explanation of how a lead acid battery works. Knowing this is important to understand fully the differences between an AGM battery and a flooded battery. A lead acid battery is made up of three main things. Those things are sulfuric acid, metal plates, and water. The sulfuric acid is normally 35% and the water is 65% and this mixture makes a fluid called electrolyte. This electrolyte is what produces the electrons that produce the charge. The metal plates are what the electrons pass thru to discharge from the battery and give off the charge. This is a simple explanation, but is good enough for here. The flooded battery is also known as the wet cell battery and it is the most simplest battery available. These batteries resemble the earliest batteries most closely. The good thing about a flooded battery is that they are simple, and that makes them cheap. The affordability is one of the biggest reasons why they are so popular. Another reason that wet cell batteries are good is that they come in the biggest variety of sizes. This means no matter what you are needing a battery for, there should be a wet cell one that works for your needs. This is another reason why some people use them because they might not be able to find another type of battery is the capacity or size they need. The downside to flooded batteries though is that they require a lot of work to maintain. Since they are filled with liquid, the liquid can evaporate or freeze. This means that every so often you have to check to make sure that the right volume of liquid is inside of it. If it is too low, then you have to add water. This loss of liquid can also affect the charge of the battery. Another downside to wet cell batteries is that they can be dangerous. The acid inside of the battery is very corrosive and bad for you to touch or for it to get on things. If the shell of the battery cracks or the liquid comes out, then it can cause damage to other things. Wet cell batteries are also the most common to have exploding issues. This is because if you over fill them, then they can bust especially when they get warm because the liquid inside will expand. This can make them dangerous. However, if cared for properly and maintain well, they can last for a long time. Now we will cover the basics of an AGM Battery. In an AGM battery between the plates are thin glass matts. That is because AGM stands for absorbed glass matts. These matts is what holds the electrolyte liquid and they are only wet enough to hold the proper amount of liquid. This makes AGM batteries light. Outside of being light they are also safe. You don’t have to worry about the liquid spilling out and the only maintenance that has to be done on them is recharging to break the sulfur off the plates. They can go longer without having to be recharged to since the liquid isn’t being held on the plates. The fiberglass suspended the liquid making them have low resistance as well, so they can be used for anything. The downside to AGM batteries is that they cost more than other types. This is offset some though because of how long they last. Another negative about AGM batteries is that they can be sensitive when charging. They should not be discharged below 50% and when charging you want to make sure you don’t undercharge them, but you don’t want to overcharge them either. These things can really affect the battery life. So when should you use each one? Well, flooded batteries are good for backup batteries, utilities, and grid power. While AGM batteries can be used every including off grid power systems and even vehicles. Wet cell batteries though are very versatile and are cost effective if you need a lot of batteries. Flooded batteries can last a long time to with proper maintenance and care. So now you have a better understanding of what a flooded battery is and what an AGM Battery is. You should understand how both types work now and what makes them different from each other. If you want to learn more about the third type of battery which is Gel, then we have articles for that and if you want a more in-depth understanding and uses of AGM batteries, then we have an article explaining that as well, so you can learn as much as you want about the different types of lead acid batteries and what makes them different from each other. There are all kinds of batteries available on the market. This can make it really confusing when shopping for a new one for your car, mower, or anything else that uses one. You might see batteries called AGM, Flooded, or Gel and not know the difference. Well, this article is going to focus on what an AGM battery is. It will go in-depth explaining how an AGM battery works and also the uses for one. Once you are done reading you will have a better understanding of what an AGM battery is and if you should buy one for what you need. All the types of batteries that we have mentioned are lead acid batteries. This means that they work in relatively the same way. In a lead acid battery you have plates, lead, and lead oxide along with some other elements to change things such as density and hardness. Inside the battery is a liquid solution that is 35% sulfuric acid and 65% water. This mixture is called electrolyte and it produces a chemical reaction that creates electrons. These electrons are how the battery provides power. When you measure the charge of the battery you are seeing how much sulfuric acid is left in the water mixture. If it is low then that means that the acid is resting on the plates. When you charge the battery it breaks the acid off the plates and causes it to return to the solution. This is what gives the battery its charge back. There are actually two types of lead acid batteries and the mentioned categories are sub types. The type of battery affects the sub type some, so that is why I am going to give a brief explanation here. You have starting batteries and deep cycle batteries. They are both designed to do two different things. The starting battery is designed to give a short but strong charge to help start something. To get an engine to turn over it takes a lot of power all at once. The way that cranking or starting batteries accomplish this is by having more plates inside them. The plates are what the charge passes thru and helps strengthen the charge. Deep cycle batteries on the other hand are designed to stay charged longer and distribute a weaker charge but for a longer period. These are the ones that recharge better because how they are designed. On a deep cycle battery there are not as many plates, but the plates inside of the battery are thicker. By being thicker it takes the electrons longer to travel thru them making the charge last longer, but not be all at once. Now we can get into what an AGM battery actually is. AGM stands for Absorbed Glass Matt. They have thin glass mats inside of them that suspense the electrolyte close to the plates. The mats are only wet enough to hold the liquid, but there is not excess liquid inside. This makes them spill proof and safe. Since the electrolyte is held close to the plates it helps with faster discharge and recharge. This means that since they can deliver a fast charge if need, then they can be used as starter batteries, but since they hold a charge good as well, then they can be deep cycle batteries. AGM batteries are also easy to take care of. You don’t have to do anything special to them. If they are not going to be used for a while, then it is a good idea to put them on a charger, but they don’t have to have any other maintenance done to them. You have to have top rated battery tender for maintain other kind of battery. Also, since they are only filled with enough liquid to wet the mats inside, they weigh less than most other battery. Another positive of AGM batteries is that they don’t build sulfur as much. Sulfuretion is when the sulfuric acid bonds to the plates and comes out of the liquid. Since the sulfuric acid is held in the mats though it is not absorbed by the metal plates as bad. So what can AGM batteries be used for? Well, the answer is anything. It has already been mentioned that they last a long time and since they don’t have sulfur build up on the plates they make good deep cycle batteries. For a AGM battery that is designed for that it will just have thicker plates than an AGM battery that is designed to be a starting battery. Since the AGM battery has low internal resistance though, it can be a good starting battery as well. One that is designed for starting will just have multiple thinner plates inside of it and more matts to go between the plates. AGM batteries are used in cars, motorcycles, boats, and most other things that require a battery. You can get them in most mid sizes and the typical size ranges from 30 amp hours to 100 amp hours. This means that no matter what you need a battery for you can get an AGM one for it. AGM batteries do cost more than other types, but the extra cost is worth it. What can AGM batteries be used for? So now your battery knowledge is expanded and you should have a better understanding of what is an AGM battery and how it works. You know that it stands for absorbed glass matt and that is because there are thin glass matts inside that hold the electrolyte. You also now know what electrolyte is and how the two types of lead acid batteries differ. You know why AGM batteries are so good. If you want to learn more about flooded batteries or gel cell batteries and how they compare to AGM batteries, then we have articles about that as well. Now, you should be able to know if an AGM battery is right for your needs and then go out and find one that works for you if it is. How To Check Car Fuses With A Multimeter? The electrical system in a car can be one of the most annoying systems to find the problem of something with. Sometimes, however, the problems in the electrical system is something simple such as a bad battery or fuse. If it is a bad battery, try to use best battery tender to maintain it. It is a tool to recharge your battery. In this article, we will teach you how to check a fuse to see if it is bad or not using a automotive multimeter. This should be one of the first things you do if you are having issues with a specific area of your car because it is the easiest and a lot of times is the problem which will save you a headache if you just start there. First, though before explaining how to test a fuse with a automotive multimeter we will cover what a fuse is. A fuse is simple a wire normally surrounded by some plastic that completes a circuit when plugged in. Most fusses have two prongs with a small wire running between them. When the fuse is plugged into where it goes these prongs touch another piece of wire and complete the circuit. It is that simple. The thing is a fuse is designed to break through if something goes wrong. This is because when the fuse breaks or blows, it will protect the more expensive part of getting damaged. A fuse blows when to much power runs thru it. This extra power causes the metal wire to burn up breaking the circuit. When the circuit breaks the extra power cannot get to the main part that can not handle the extra power. In cars, there are normally fuses in two spots. There is a fuse box under the hood with all kinds of fuses in it, and there is also sometimes some fuses under the dash on the passenger side. Knowing where your fuses are is important if you want to check them. Some of the fuses are a different color, and each color indicates how much power it can handle. The bigger fuses though are normally a dark gray though and not a color. On the small fuses, you can normally see thru the colored plastic, and this allows you to see if it is blown or not without testing it. Also, blown fuses may have discoloration which is a sign that it is bad and needs to be replaced. The big fuses though you can not see the wire, however, so these you will have to test if you think something is wrong with it. Read on to learn how to do this. The first step before testing a fuse with a automotive multimeter is making sure that the car is off and the keys are not in the ignition. This will help keep you safe when pulling the fuse out and also protects the car. The next step is to locate the potential bad fuse. To do this, you go to the fuse box and look at the diagram or in the owners manual and find the one that corresponds to the system you are having trouble with. For example, if your power door locks aren't working, then you will want to pull the fuse that goes with that. Then to pull the fuse, you do literally what it is called, and that is pulled straight up on the fuse. You want to make sure you pull straight up because you don't want the prongs getting bent or damaged as you pull the fuse out. Once you got the fuse pulled you can visually inspect it. If it is a clear plastic you can try to see if the connection seems broken. If you can't see the wire through, then it is time to get the multimeter out. To use the multimeter you first have to turn it on and get the probes out. You then can set the multimeter to ohms. This will measure the resistance of the fuse. You can then touch the probes together. This gives you a baseline reading and will tell you roughly the number you will get once you put the probes on the fuse. Once you have an idea of the reading, you should expect you can connect the probes to the fuse. To do this, you just have to touch one probe to one prong and the other to the other prong. This will give you a reading. If the reading is close to what it was when the two probes touched, then the fuse is fine. If it does not give a reading, then that means the fuse is blown. This is because the current it is trying to send thru the fuse is not making it back thru. To make sure the fuse is blown you can change the multimeter set to the setting to measure the current which is the arrow with a line. You can then touch the probes to the prongs on the fuse in the same way. If it beeps continuously, then the fuse is fine, but if it does not emit a sound, then the fuse is blown. Either test is a sufficient way to see if a fuse is blown. If the fuse is blown, then it is pretty simple to replace it. You just have to buy another fuse that is the same and plug it in (click here to check price at amazon). If the fuse is not blown, then you will have to dig deeper into your electrical problems which can be frustrating. That is why it is good to start with testing the fuse first because for most people it will only take a couple of minutes to test the fuse. Another thing to remember if it isn't the first fuse that you test is to make sure to look at the diagram closely and that you test all the fuses that go to a particular system. Sometimes a system may have more than one fuse, so you need to make sure you test them all with the multimeter to rule out one being blown. So now you know how to test a car fuse with a automotive multimeter. It is an easy task, and pretty much any multimeter can do it successfully. You can either use the resistance or ohm feature on your multimeter to check the fuse, or you can use the continuity setting to test the flow of current. Either one will work and will give you a reliable reading on if the fuse is blown or not. Also, don't forget you can visually check the fuse to which might be able to save you more time in finding out if your car fuse is blown or not. Multimeters are a handy tool around the house and in the garage. They can be used for a large variety of things, and are especially useful when working with cars. You can use them to test different electrical systems in the car to see if there is a problem, as well as use them to check fuses or even the battery. Finding the best automotive multimeter can be hard though since there are a lot on the market. We are here to help though. Following is a list of a few of the top automotive multimeters that we recommend. What is the best automotive multimeter? There are hundreds of different multimeters on the market, and they can range in price, so knowing which is a good one and which isn’t can be hard. Luckily for you, we are going to take an in-depth look into five of the best automotive multimeters on the market. These are all top multimeters, and after reading farther, you will see why. Starting off we have the Innova 3320. This multimeter is average size measuring 2”x10”x5” and weighing 1.25 pounds. This multimeter is UL certified meaning that it is safe for you to use. It is convenient to use as well because it has auto-ranging scales meaning that you don’t have to change a knob depending on what you are measuring, it can sense this for you. The 10 MegOhm input is safe for automotive and household uses (i.e., household outlets, fuses, wiring, general-purpose batteries, vehicle battery and charging system, automotive circuits and more). The LCD screen is bright and easy to read and giving digital readings make it easy to use as well. There are also color-coded LEDs which makes quick battery checks fast (green = good, yellow = weak and red = replace). The case is made out of strong, durable plastic, that will last awhile and can handle normal wear and tear. The corners also have rubber on them to help with drops. There is a single switch to change between AC and DC which makes it fast to switch. The probes have a decent length which is nice, but the probes are where the biggest complaint about this unit comes in. A lot of people have issues with them not being sensitive enough. Sometimes you have to fight with them to make sure they are making good enough contact to get a good reading. This can be annoying at times, but when it works, it works well. Some other nice things about this unit are that it has customer support that you can call and get help, and it also has built-in auto turn off, so you don’t have to worry about the batteries getting wasted. If it weren’t for the probe issues, this would be a great multimeter, but even with those issues, it is still a good one. Next is the Innova 3340. It measures at 12.5”x4.5”x6.5” and weights 1.12 pounds making it a little smaller than the Innova 3320 version. The Innova 3340 is similar to the 3320 but has more features built in. The INNOVA 3340 is great for testing alternator diodes, duty cycle, solenoids, breaker points, wiring, switches, and more. It is still UL certified making it safe for anyone to use and the case is still a durable plastic with rubber corners. The screen is also the same top quality screen, and it provides digital readouts. This model doesn’t have the LEDs for quick battery check, but it does have some other useful features. The Innova 3340 can be used to find RPM readouts, alternator test, and temperature readouts. This makes it a very versatile tool and allows it to do multiple things with one device which is nice. The only complaints with this unit again come with the sensitivity of the probes. Some people have been having issues of the lowest readout being in the .4 ohm range meaning that if your item puts out less then that, it won’t read it, or it will give you the wrong reading. This is annoying, and if you are going to be using it with low sensitivity things a lot, then you might want to consider a more sensitive option. If most of your use is going to be with things that put off more ohms though, then you shouldn’t have this issue, and that means that this is a great multipurpose multimeter. To top it off, it also comes with a nylon pouch so that you can take it anywhere. Next is the Improve AM-510 with NIST certificate. It is normal size and weights 1.4 pounds. The NIST certificate means that it was tested at an outside 3rd party lab to make sure that the unit was calibrated right and gives proper readings. This model have accurate performance for light commercial and advanced residential applications like rewiring an electrical panel, installing heated floors and light fixtures, troubleshooting and repairing home appliances, electrical sockets, and automotive electrical problems. The unit is in a hard plastic case and is durable and will last for a long time. The LCD screen is bright and gives easy to read digital readings. It can be used to measure both AC and DC current and is easy to switch between the two. This multimeter has a CAT III safety rating meaning that it can be used for high voltage things. It can be used for up to 600-volt items. This means any car batteries or household things will be fine. Outside of reading the normal things of resistance, capacity, etc., it can be used to measure temperatures which are nice. On top of all this, it has a built-in stand and probe holder to make it easier to measure things. It is like having a third hand. The last thing that makes this easy to use is the built-in flashlight, so you can see where you are working. The connector hole where the probes go into can also be hard to push the probes in, but after a few uses, this gets easier. The best solution is if you get a bad set of probes is just to get a different pair that will work with this unit. Outside of the quality issues with the probes, this is a great unit that can do a lot. Now we are to the Fluke 115 Compact which provides the perfect answer for general purpose electrical and electronic test requirements. This model is also your average size and in a hard protective shell that will handle normal wear and tear. It comes with a soft case which is nice for carrying it around. It is CAT III safety rated so that it can be used for anything up to 600 volts. This means that you can measure pretty much anything. It can also be used for AC or DC and is easily switched. The LCD screen is top quality and to make it easier to read it is LED backlit. This multimeter can be used for Resistance, continuity, frequency, and capacitance and had true RMS to give accurate readings. The ergonomic design of the Fluke 115 compact makes it easy to use one-handed, but it also has a built-in stand to help make it easier to use as well. It can be used in pretty much any temperature, so even if you live somewhere cold or hot, you won’t have to worry about that affecting the readings. It is also really simple to use, and most people will be able to use it right out of the box within a few minutes. The probes that it comes with are pretty good, but some people have had issues with them not working right. If that is the case, Fluke customer service is good, so they will get the problem fixed for you. This makes the Fluke 115 compact a powerful little tool. Lastly, we have the Fluke T5-1000. This model is top of the line, but still only weighs 1.2 pounds. It comes with a NIST certificate meaning that it is calibrated correctly and going to give you correct readings. It also can be used for up to 1000 volts and check current up to 100 A- without breaking the circuit, so there is nothing that this thing can’t measure. It automatically detects between AC and DC making it easy to use. You can make readings with the probes which store away easily or the open jaw current measurer making it simple to use. On top of all this, the leads and probes accept accessories to make them more useful in certain situations. You can put clamps on them, for example, to make them easier to hook onto something and stay. On top of being able to measure all the normal things, the T5-1000 can also measure temperature. This means you can eliminate overheating as a problem right away. This multimeter is also rugged and can handle any conditions you throw at it, so you can use it anywhere and don’t have to worry about it breaking. The only downside to this meter is that it doesn’t come with a carrying case. They make one for it, but the H5 holster is sold separately. This is the only issue with this multimeter, and while it is nice to have the holster to make it easier to carry, it isn’t a need and doesn’t affect the function of this unit. So which one should you get? Well, if you are using it every day, then you should get the Fluke T5-1000. That is because it can do pretty much everything and it can do it accurately. This means that the readings you get can be trusted, and the T5-1000 is reliable. If you are just a hobbyist though, then the Fluke T5-1000 may be more than you need. If you are only going to be using it around the house, especially for your car, then the Innova 3340 is the best bet. That is because it can still do a lot of different things. It can measure the normal battery things as well as the alternator and RPMS. It is also a fairly reliable unit and easy to use. None of the options on this list are bad though, so if you think one of them would work better for you, then it is safe to go with one of the others. So know that you have read this you know more of what to look for in a multimeter. There is a lot on the market, but this list is a great starting point and will get you on the right track to finding the best automotive multimeter for you. This list should at least help you be less stressed about the choice that you are making and if you pick one off this list, then you know you will be getting a good reliable multimeter.